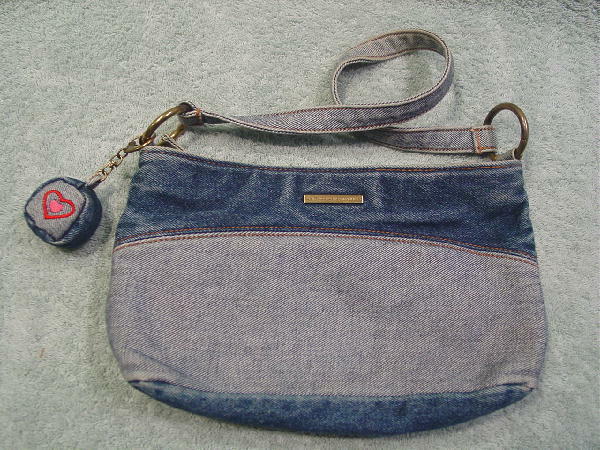 This denim purse is a vintage United Colors of Benetton. The 100% cotton fabric is in light and multi-tone medium to dark denim. 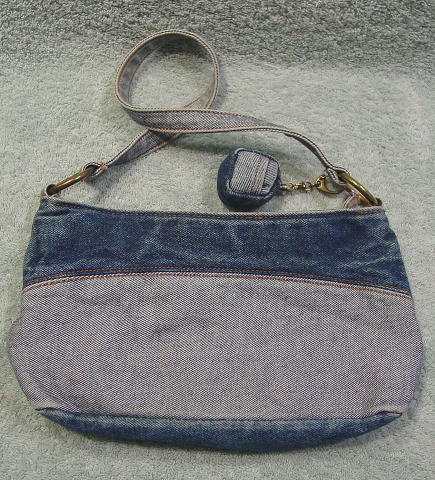 It has a top side to side zipper, a denim pull, and a little jean stress ball which has a red and pink thread heart on one side and a tiny open pocket on the other, and is attached to one of the brass-tone rings that hold the 18 3/4" long by 3/4" wide handle. The double fabric lining has an interior zippered pocket with a brass-tone metal pull with United Colors of Benetton etched on both sides. 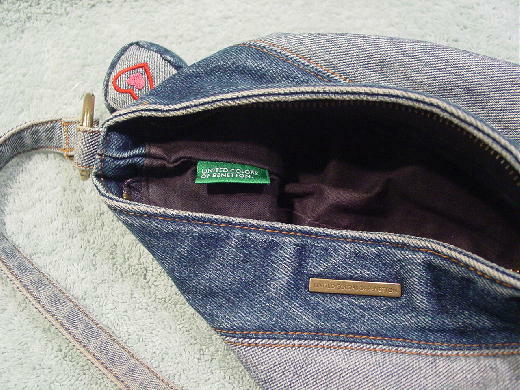 On the front of the purse is a thin metal tag with United Colors of Benetton etched on it. It's from a San Francisco model.